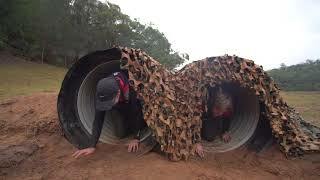 For those who have smashed the 10 kilometre True Grit courses, True Grit wanted an even bigger challenge and have taken it to the next level. True Grit has teamed up with the Obstacle Course Racing World Championships (OCRWC) to bring you a World Championship 24 hour Obstacle Course event, with participants from around the globe. Participants will take part as a solo individual, or as a team (mens/womens/co-ed) to compete for a place on the podium or just to challenge their mental and physical limits. It's not for the faint hearted, but it is open to anyone with enough grit to take it on. Join them for the weekend and challenge of a lifetime.